Six months ago after conversations of your possibly building a house. 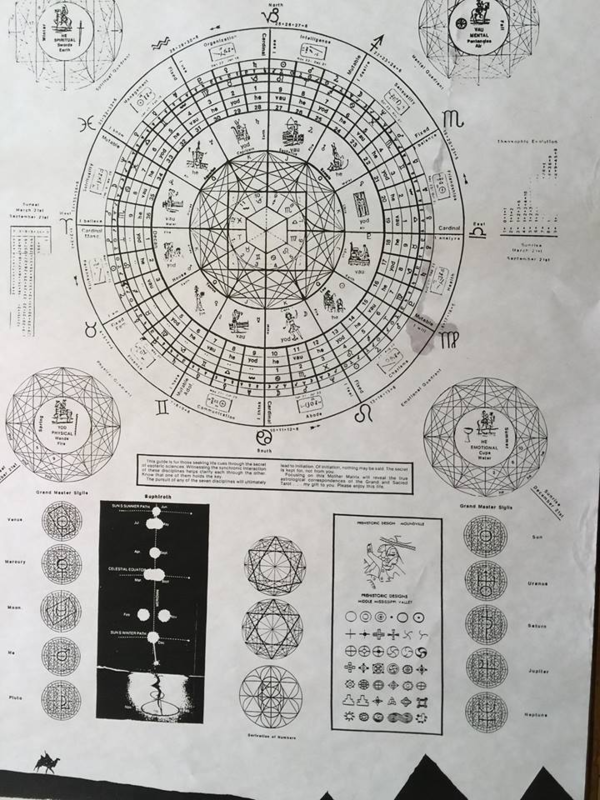 We chatted about the cube of space that appears in the center of an astrological chart when the interstices are connected. That this vault of space can be recognized in the King’s chamber, Saint Peters Cathedral, Taj Mahal and other special places. This cube of space is a space tuned to the cosmos. Our goal became to identify these cubed spaces and research if these diagrams could introduce their special geometry into contemporary housing plans. We spoke of standing on the building site and drawing the sun’s morning rise positions directly on the earth where you plan to build. 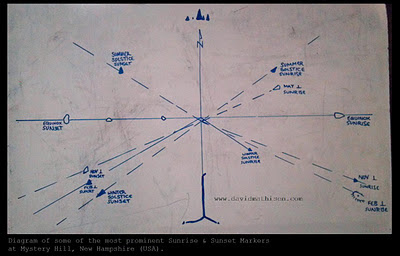 To refresh and check our statistics we witnessed the sunrise on both solstice and equinoxes. 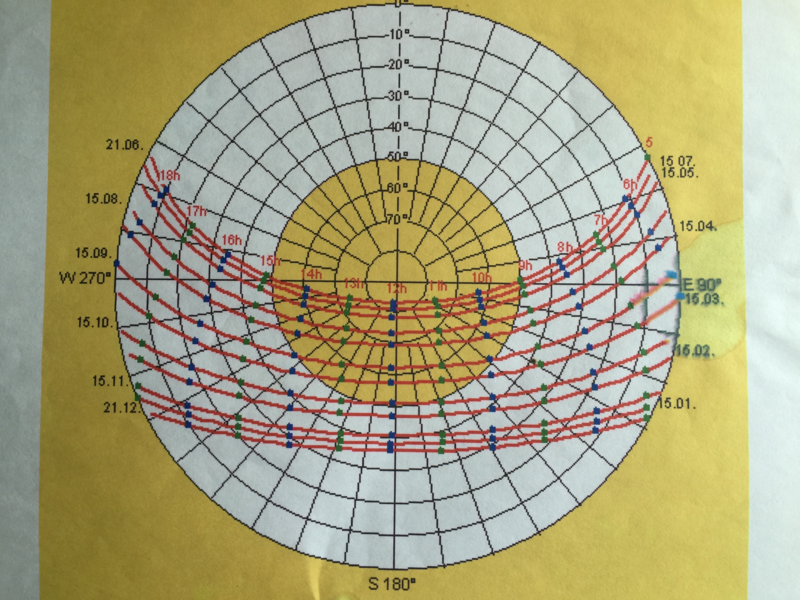 The shadow lines drawn from these morning events looks like this… Because the earth is not round in this diagram you’re seeing a stylized version of this geometry. When these sightings are applied directly onto your site they will be slightly irregular but particular to that place. After the circulation of one year the marks come back around. Where does the circle come from. The morning shadow marks are infinitely long and don’t take on meaning for us until the circle is introduced. Capricorn’s low on December 21st. From this length you need to find the Phi porpotion and this distance will give you the measurement of the Sacred Cubit. section. Now that we have the Golden length you may use it ‘s multiples on the rope you tie around the bottom of the pole to draw a circle. Use the same measurement to create the height of the pole. From here you have the dimensions to square your circle. At this point you created and posted the geometric solution to squaring the circle. 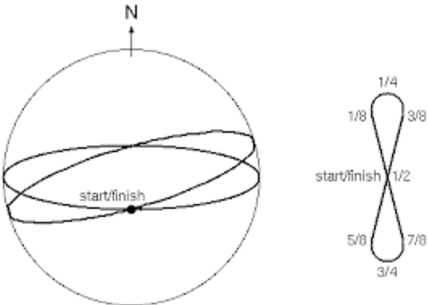 We also posted how to draw a sacred spiral using the golden mean. Now we can take what we have learned from experience on the mound- top onto the actual building plot and begin connecting interstices until we are dancing within the cube. It may be left to painters and poets to imagine the deep feelings of being thirty five feet tall weighing 1,000 lbs and being in great physical shape. These folks were the “old normal” and were excellent workers whose Genes thrived for millennia in the God given gardens of Sub Saharan Africa. A wonderful and peaceful environment allowed these New Born’s to grow large and strong. Indeed, the Western bible refers to them as God’s first Children. They seem to have been a peaceful, hard working group of folks who later used their knowledge of Geometry to become Foundation builders for the planet. I believe that when a native population grew large enough to form a society they called upon these Megalithic builders to come into their area and use their Geometric knowledge to orient their mound building or observatory accurately and inform them how to use the design. when the builders had finished their contract they picked up their tools and moved to the next site, leaving the smaller native people to pile up smaller stones. Today the professionals who build our houses do so then clean their tools, pack them up and more to the next building. They don’t stay around and live with us. We hardly ever find tools of the original builders around our homes. If we dig our back yard we find lots of information about the folks who lived and worked there before us, but no original building tools. DUH! Around the pyramids they find small copper tools capable of cutting limestone, but there are no tools strong enough to have carved the harder base stones. These small tools were used by the people who lived there. The foundation-maker’s Megalithic tool could be being portrayed In these following photos. 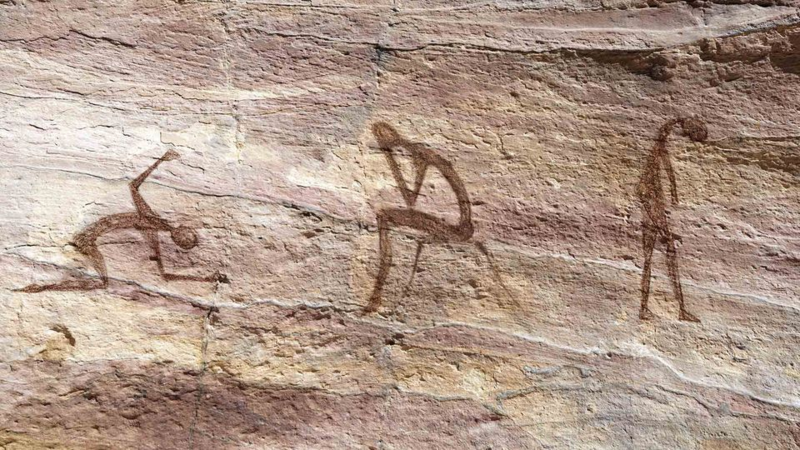 I believe the artist used his or her skills to convey a memory of this Megalithic tool. Firstly this tool is not a bulb. There was no glass works at that time. See as this Giant holds the tool that his legs are blocked by the object. If it were a bulb you would be able to see through it to his legs. It couldn’t be stone held up by Native people, it would be much to heavy for them to lift. 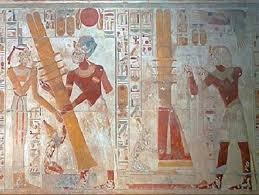 I’m suggesting that this image portrays a two dimensional wooden paddle-shaped board designed to hold a high pressure hose stable enough to cut stones brought before it. The image of a hissing snake communicates the sound of high pressure steam release. The coiling or writhing of a snake illustrates what a hose under high pressure does. I can imagine a steam boiler made of thick hard stone, I’m not sure what the hose could be woven of to withstand the huge steam pressure… but it happened… here’s the picture! Cutting rock with steam wouldn’t leave chips. 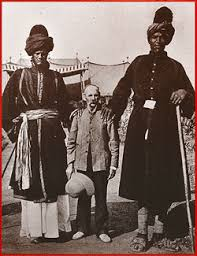 I am trying to understand the relationship between the Sans tribe and the Nephelim giants. 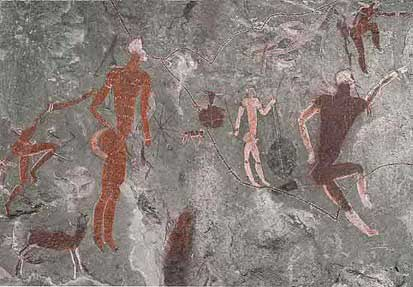 In the Bushman cave paintings done in African caves the giant people are sketched as potato like shapes… very dark. 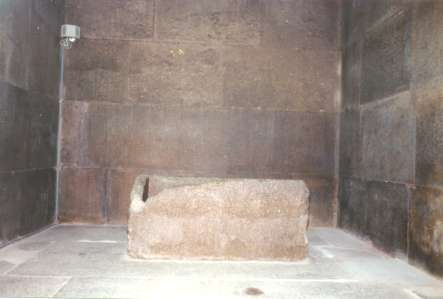 chamber in the pyramid. Lots of dancing. Why dancing? It must be another story. Drawn and colored into seasonal quarters. 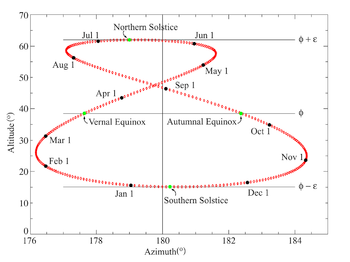 Note the East West lines of the Equinoxes and the North South points of the Solstices. Anything which emanates from or relates to Godhead is referred to as Sacred. Sacred Geometry reduces itself to this singular and infinite point. You understand how our moon effects Earth’s tidal water. The tides are in and out daily and easy to follow along with a moon’s calendar. all of the planetary bodies effect the conditions of Earth’s water. 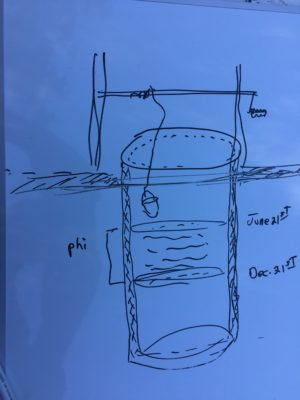 If you dig a well and chart the water level each day at sunrise between the summer and winter solstice you have a measurement of the earth’s tilt. If you take a glass half full of water and tip it thirty degrees you’ll be kind of imitating what’s happening inside Earth. Capricorn. Until you have figured out the Golden Mean or Phi proportion, just divide that figure by 1.618. Look closely into this group of hands and you see a sail boat pulled up to a pathway and there is a person walking up that path out of the picture. The hands and forearms act as trees and bushes around the shore line. 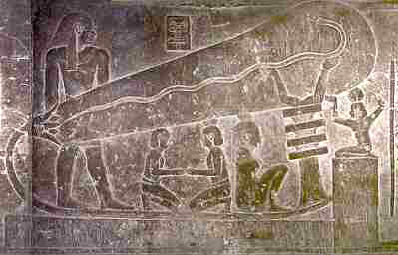 In the left end of the boat a person, possibly two, is sitting holding what looks like a chopping adze. 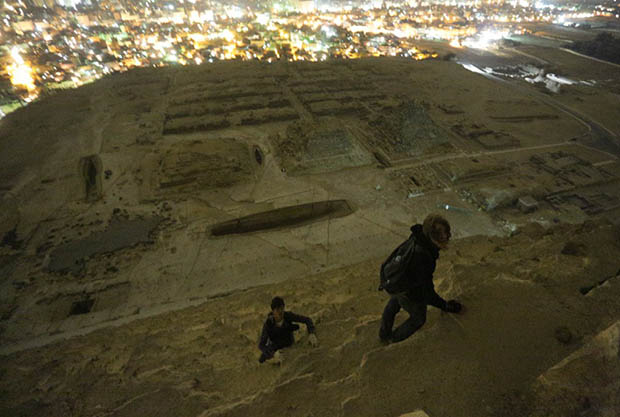 Up at the top of the picture is a little king like figure with a large streaming headdress. 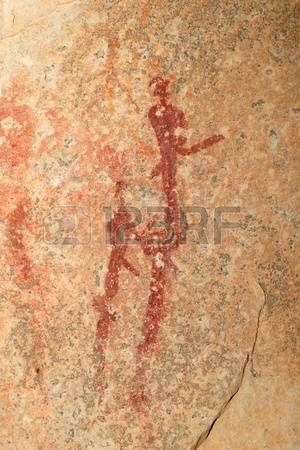 The cording on this head dress shows up in other cave drawings. This may be a very clever picture of the Bosses boat and asking for willing hands to repair it. 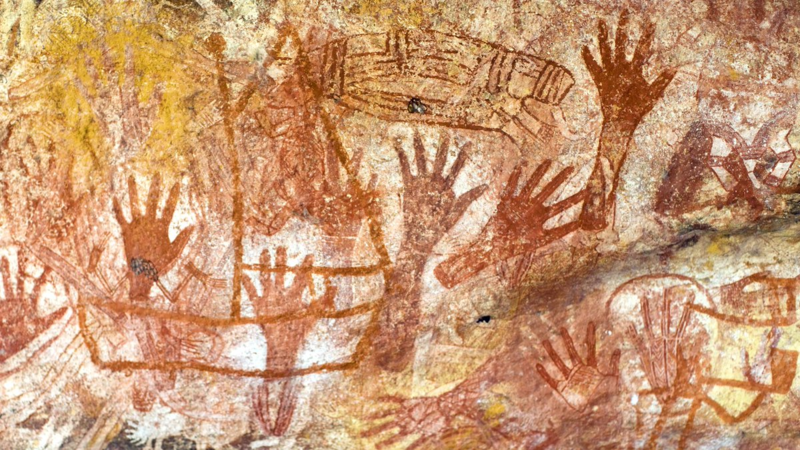 Aboriginal art tells a story. 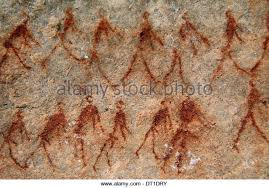 Here the hands seem to suggest a code like (not secret) communication among the groups. Palms up, palms down right hand and left hand. Hand proportions, female, male and hand size. That could create a bunch of signals. Down in the lower right you see that hand pressed outward to the viewer and the suggestion of a face looking back at us. Low left is a little flower, upper right a vignette of an amphitheater that is coming out of the tail of the headdress. 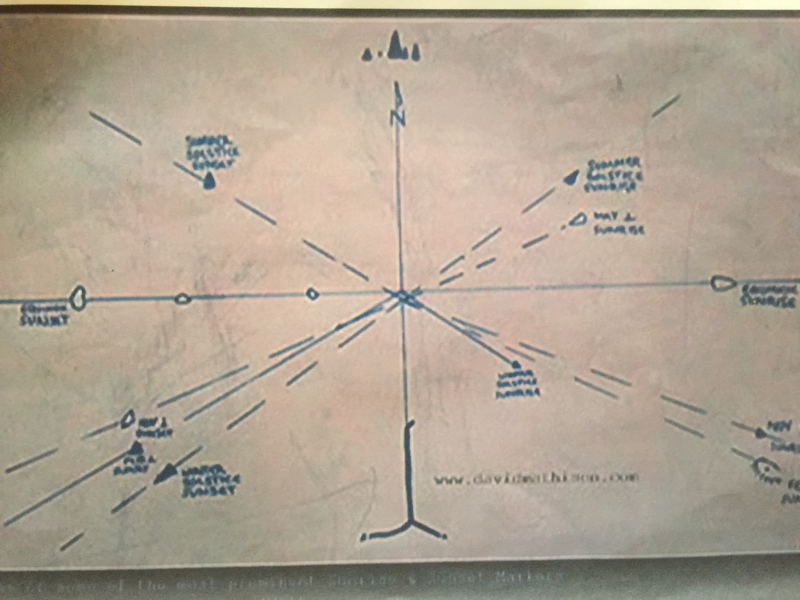 This photo shows how and where the drawing occurred. 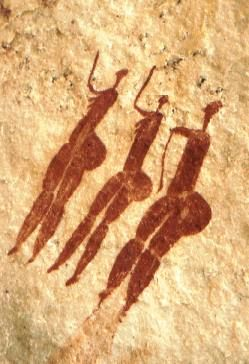 This morning I’m wondering how the San tribe got called Bushman and why that name obfuscates their incredible intelligence. 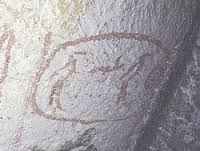 Behind this drawing on the cave wall (THE cave wall) notice the earth’s striations. These woeful figures are sandwiched between two actual earth shattering events. See the white striations behind them a couple of inches apart? Those are most likely volcanic ash remnants and the reason these folks had to live in the the shelter of the cave. The young person on the left is kneeling on the beginning layer of damage and is lamenting the conditions brought about by this newly scorched earth. The Lady sitting on the stump is woefully staring back through time ( the upper white ash line) and remembering the harsh environment her family had to endure to stay alive. The drawing on the right, is definitely a male standing in the middle of two ashy time lines, despondent over the conditions his family is enduring. 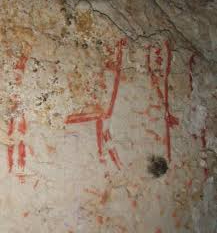 The good news is this is being drawn by an artist in the cave many years (rock striations) later. This artist stood back and read the cave wall then added his comments to the correct time- line-layers of stone. 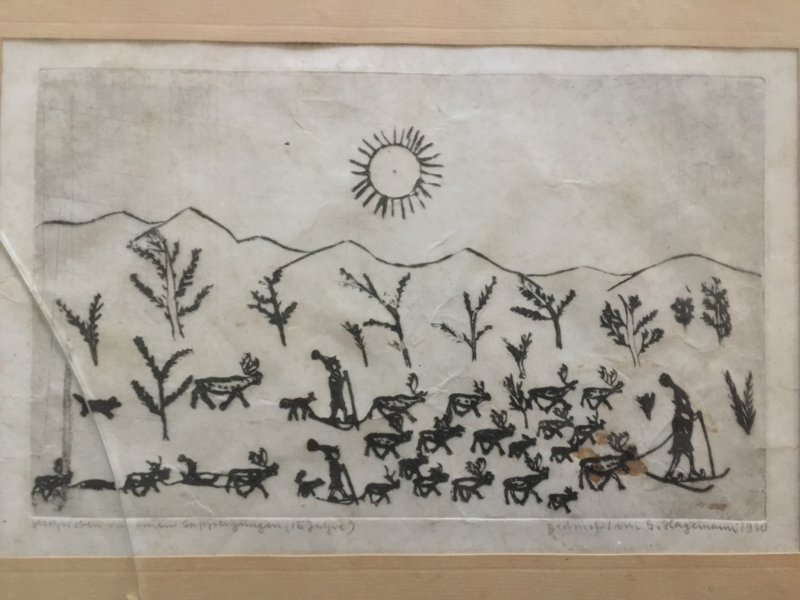 My wife purchased this drawing at an estate sale in North Florida. 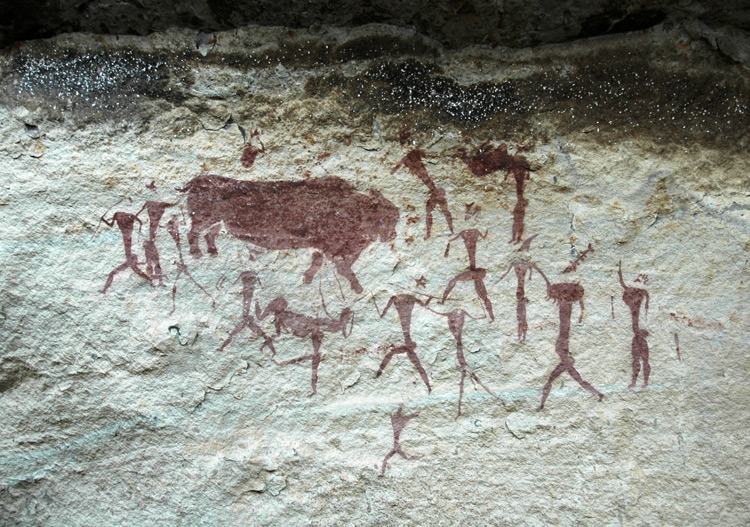 It has the characteristics of the Aboriginal San tribe cave drawings in South America. I can’t read the language but the date looks like 1980. 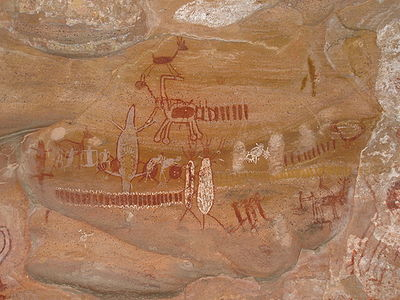 It confirms the stories of tribes following the reindeer. The major glacier created a large drought which drew down the worlds water level by 400 feet. 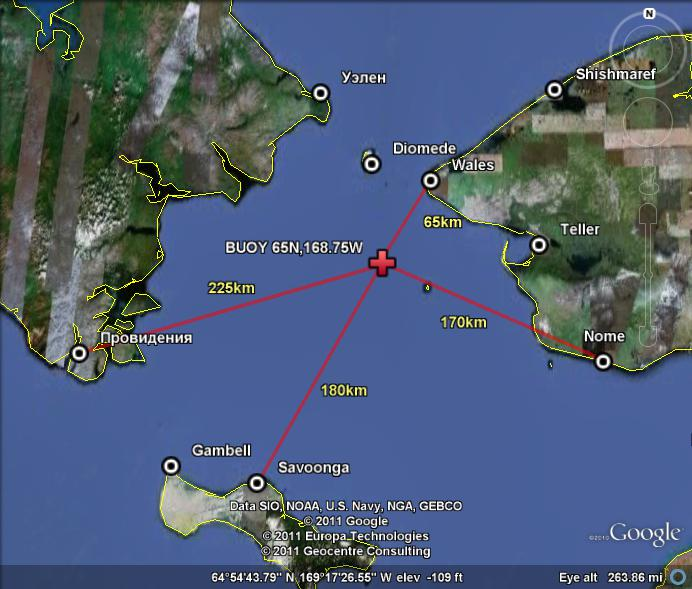 , the land bridge would have been a 250 foot high ridge with the Diomede islands in between. Fairway rock lies between the Diomede islands and Alaska shore and would have also have been exposed by hundreds of feet. These islands are now at sea level but would have stood out during land bridge times. 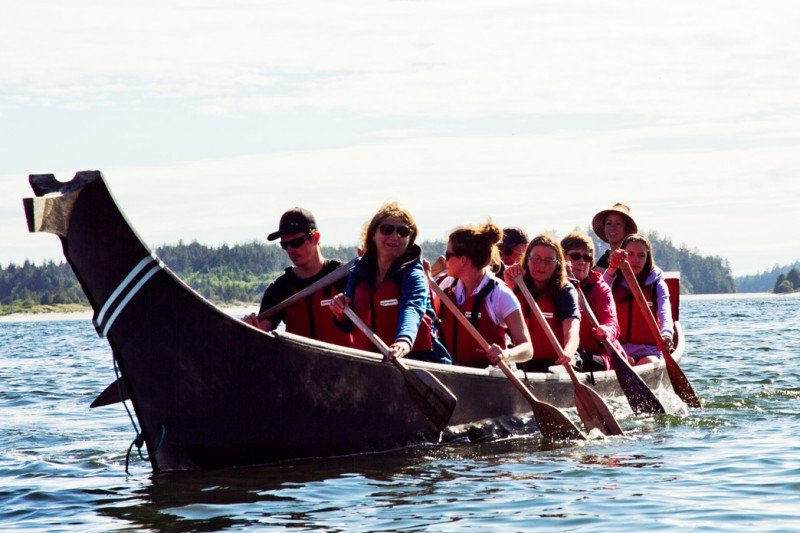 The Inuit tribe still survives in Alaska. The aborigines followed the reindeer across the ice bridge and made it their home. Others used the land bridge to populate North America…The Solutrians, mongols and Clovis. The Solutrians and Clovis may have been the same group and be cousins of the Nephelim. 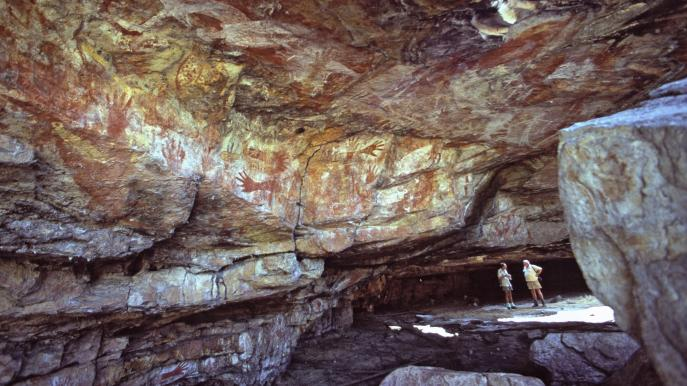 The real story is how Aboriginal art got onto the Peruvian cave walls? An Aboriginal wave migrated South following sea currents from South West Africa to the Shoulder of Mezzo America. It was drought conditions which pushed the Aborigine to travel down to South America in deep water canoes. Others survived by following the herds up across the Bering straights into North America. 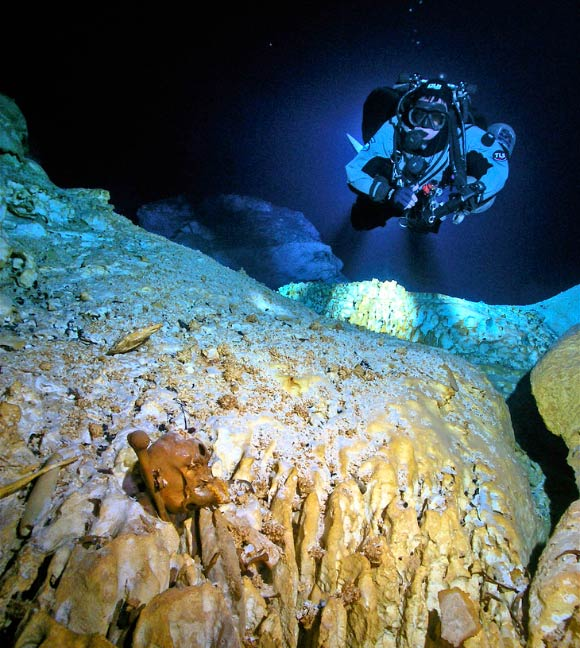 In Peru Archaeologists have found a female skeleton nicely laid out on a cave shelf which is now 40 meters under water. Nephelim skulls and Aboriginal art are also present. The Aborigines met Nephelim with unsutured heads. 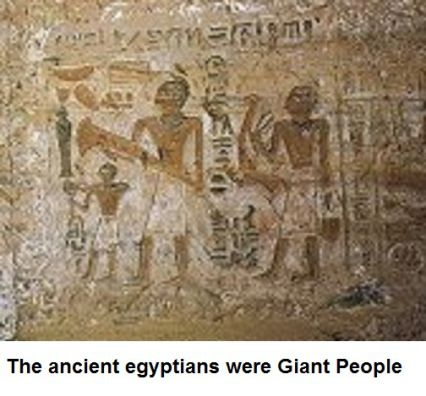 To me this means that these Nephelim were first wave humans, a white race of giants who had not yet developed melanin and had traces of red hair. 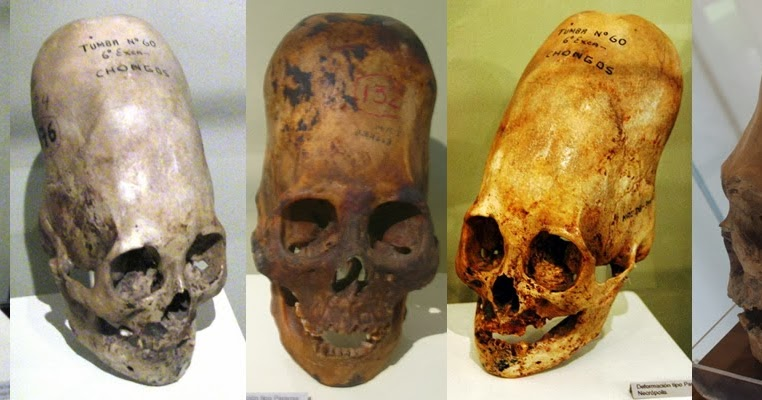 This race of Giants would later develop collapsible skulls allowing more plausible vaginal births, brain expansion and melanin to protect their endangered skin. Giants DNA was left in small patches around the world from an earlier Nephelim- only migration out of Africa. The well-preserved, genetically intact skeleton of a teenage girl who lived about 13,000-12,000 years ago http://www.sci-news.com/othersciences/anthropology/science-naia-skeleton-first-americans-01925. 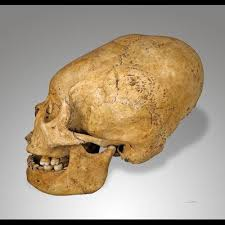 What we have here is the unique combination of an adolescent skeleton with a Native American DNA haplotype,” said Prof Douglas Kennett of Pennsylvania State University, The site is now 40 meters below sea level and sea level rise would have raised the ground water level in the cave system and submerged everything between 9,700 and 10,200 years ago. often called “The dancing cube” gives the illusion of a six sided shape changing into a perfectly formed cube. Focus on the center of this diagram and a cube will appear. 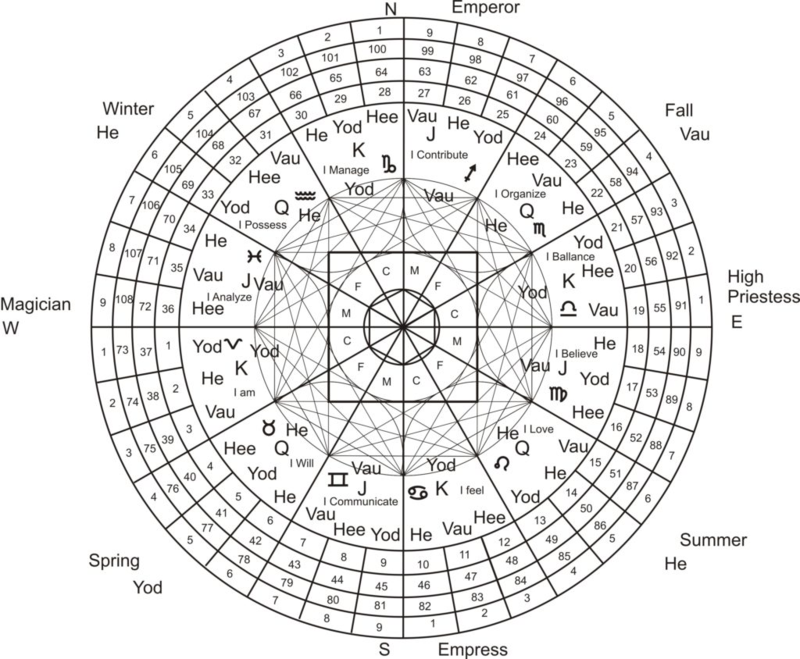 Most Astrologers use an equal distance system in constructing their charts. Remember that equal distanced Astrology charts are stylized. Wall charts like this one are an excellent teaching device and memory reference point. the lines are infinitely long until the dimension is set with a circle. Your dwelling takes shape from here. The actual measurements made on top of the mound vary because these lines are distinctively different in each location. Once you have discerned the cubit you use its multiples to set the height of the sighting pole and the dimension of the circle. The cube of space changes dimension with each longitude/latitude movement. I’m saying that the cube of space atop the mound just down the street will be a different shape and require its own astro-geological dimension. This is why there are so many mounds in the world. Everybody wants one. 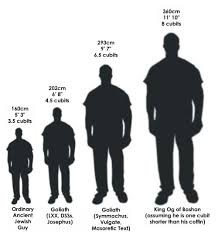 Cubits can be confusing let’s check them out. There is a universal synchronicity captured in Geometry that is a relationship between all parts of the Universe and our bodies. Tall bodies, short bodies, malformed bodies all share this growth proportion. 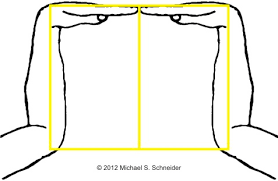 The King’s cubit in building determines things like the height of windows the size of doorways, length of beds.. a builder really wants the king to be able to see out the windows and fit through the doors. 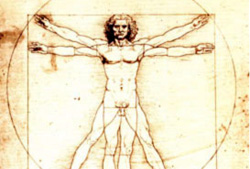 Another interesting relationship of golden section to the design of the human body is that there are:5 appendages to the torso, in the arms, leg and head. 5 appendages on each of these, in the fingers and toes and 5 openings on the face. 5 sense organs for sight, sound, touch, taste and smell. The golden section in turn, is also based on 5, as the number phi, or 1.6180339…, is computed using 5’s, as follows: 5 ^.5 *.5 +.5 = Phi In this mathematical construction “5 ^.5” means “5 raised to the 1/2 power,” which is the square root of 5, which is then multiplied by.5 and to which.5 is then added. The second is the Sacred cubit. This measurement is taken from the measured balance of the Universe. 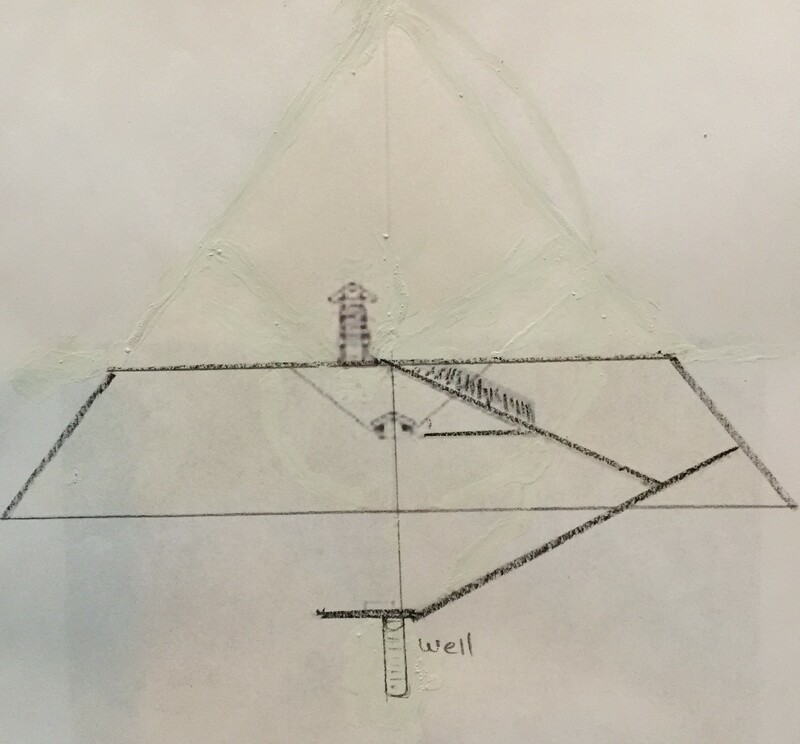 Notice that wells are associated with megalithic building. 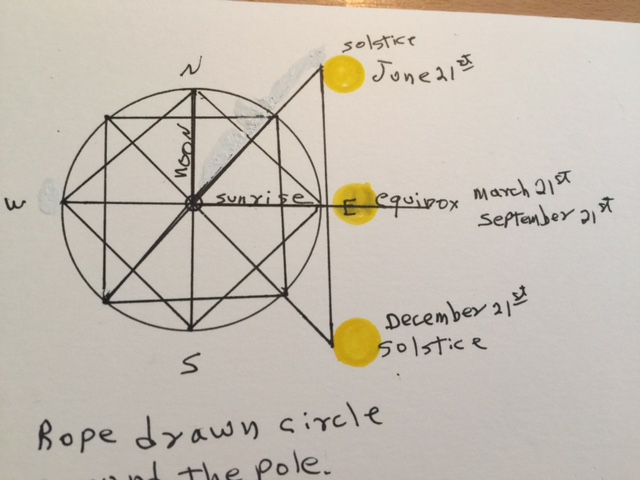 Find the well and measure it each morning at sunrise from solstice to solstice. Take this measurement and divide it by Phi and you have a universal measurement that is particular to that building event. Earth’s tidal water is in balance with all of the planet’s not just the moon. The length of the Sacred cubit changes by locality. The length of the profane cubit changes from King to King. 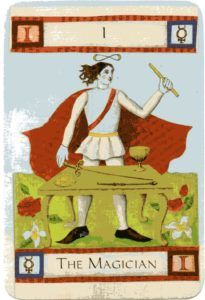 The Magician holding a rod of measurement says check out the tables of the four elements: fire, earth, air and water. Find the Phi and build your house. If we can imagine that during the large drought which created the first diaspora out of Africa, the sea level was almost 400’ lower than it is now. Ascension Island, 7 degrees, 57min. South, is at 1, 215 foot elevation. Adding 4oo’ of elevation (lower water level) to that gives a 1,600’ beacon Island. This Island would be a back up if you missed St. Helena’s. 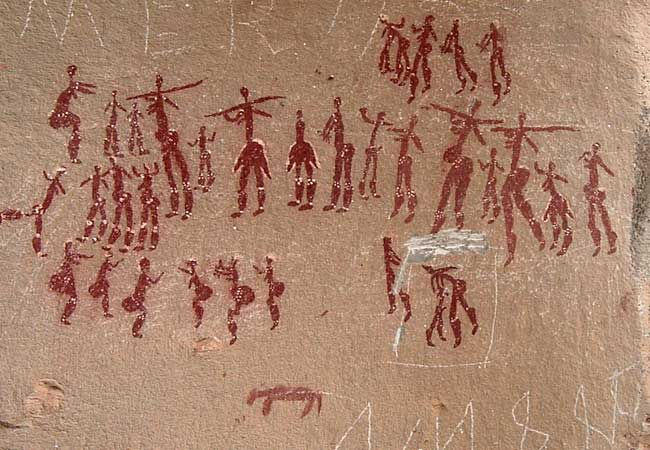 If this route worked it would be easier to understand how Bushman art shows up on south American cave walls along with unsutured Nephelim skulls. 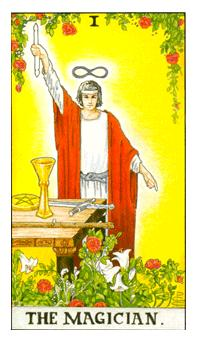 I began this line of thought trying to show how the Tarot is more than a deck of gambling cards or only a method of unscientific divination. Certainly, anyone who has fondled a deck of cards has, through them, experienced strong feelings of universal synchronicity. 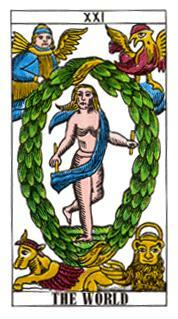 Texts concerning Tarot are all shaded in mystery, secrecy, dodgery, not knowing and other misleading staircases of personal aggrandizement, occasionally ending in charlatanism. 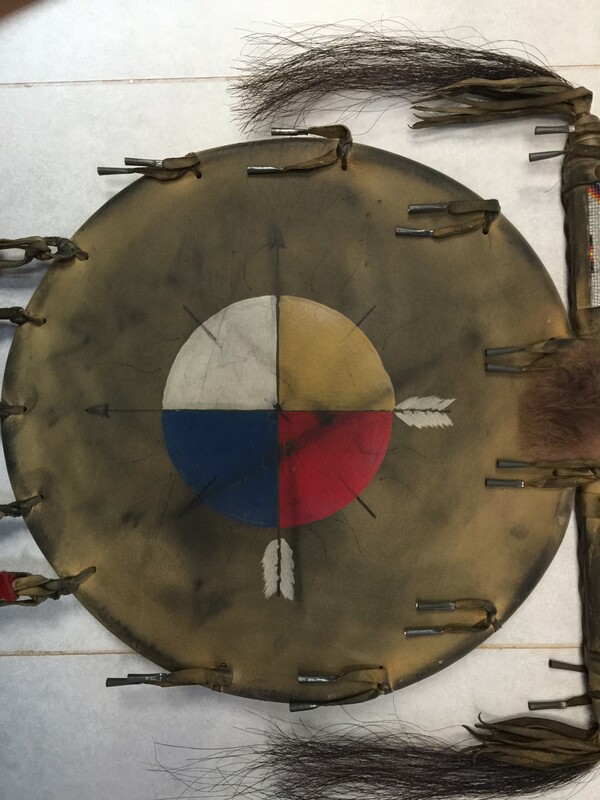 I have always been excited by Shamans, and have myself practiced outer world, out of body experiences which have been very other worldly, nature bonding, enlightening and hugely entertaining. However this behavior was body debilitating, often disorientating and hard to sustain. In search of answers to these perceived universal revelations, I launched a personal investigation into spiritual; and psychological issues, trying to find out who else had experienced these out of body, other worldly, long nights. Through out history I found that many, many people had and they also struggled to tell their story. To shorten my story… A Guru found me and quickly informed me that life was for the living, this planet is where it’s happening, my body is where my life is housed and I was headed in the wrong direction, which he quickly reversed for me. e way of others good work. After seventy or so years there will be plenty of time to practice astral projection and out of body travel. He said, “I know what you’re doing in there. Come out of your cave and go to work”. Whatever!….I’m trying. I read the Tarot which describes the horrifying story of human history. You have noticed the card images change around from generation to generation but the geometry of numbers remains constant and available to all through the ages. Let’s look at the historical 0 card, the FOOL. He is a fancy- free traveler carrying his kit and caboodle and just enjoying the day. Notice how he is one step away from tragedy? Terrible tragedy struck Earth very early on and periodically since then. The World’s order has been shaken to it’s core several times during it’s history and probably will again. thankfully, they devised methods of up righting and restoring civilization to the planet. Wall art and memorization have been ultimately important in keeping humanity alive. Data mining You Tube, Google Earth, Google maps is a very new way of sharing the present and uncovering the past. What I have come up with is certainly not what I was taught or expected. EX: Noah’s flood was a biggie where did this water come from? The water came from the destruction of the world’s largest and longest lasting glacier. We now understand the cycle of these glaciations of which there have been up to sixty. They begin with a trauma! After hurt, Earth has the ability to restore order to its balance by transferring weight where its needed through rain then snow to ice. The weight and size of a three mile deep piece of glacier is profound. As the glacier grows larger earth’s drought grows commensurately then when the ice is destroyed a cataclysm ensues. So where did the water which caused the huge glacier which melted, causing Noah’s flood, come from? The Bible’s elegant description of Creation begins with a dry earth quickly covered with a mist. This Earth covering mist is evidently where the water take up began developing into the maximum Glacier. Where did this mist come from? 54 million years ago when Earth clumped together and began moving into orbit, a couple of clumps fell off and joined into orbit with the earth. One of these chunks bumped into the Earth, knocking it off axis creating two tropics, four seasons and rain. The Glacier was huge which means the water had to have been very deep and pervasive. Now we have one moon and a lump in the center of the earth. Go figure. Horizontal and vertical DNA is only now helping describe what they went through to survive these glacial seasons and get us where we are today. The Pyramids were built by two different groups of people? There are instances of later civilizations building on pre existing megalithic structures. 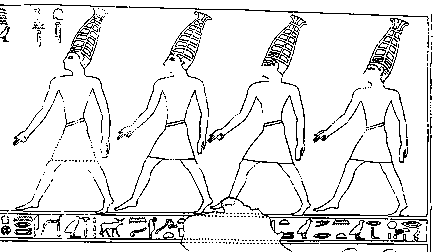 The main group of builders were the Nephelim. Very large people even Giants. Their Megalithic structures all seem to be laid out on a strict geometric pattern formed by collecting Sun’s shadows during the rotation of a year. 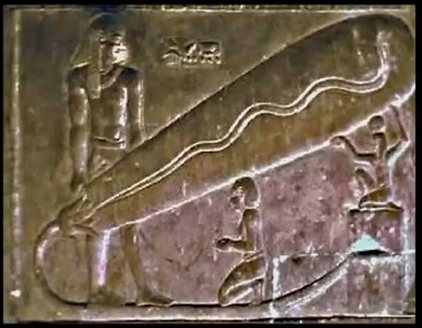 You see these diagrams dug into the rock on the base of the Pyramid? During the Earth’s last cataclysm, huge damage was inflicted on most all of existing artifacts. 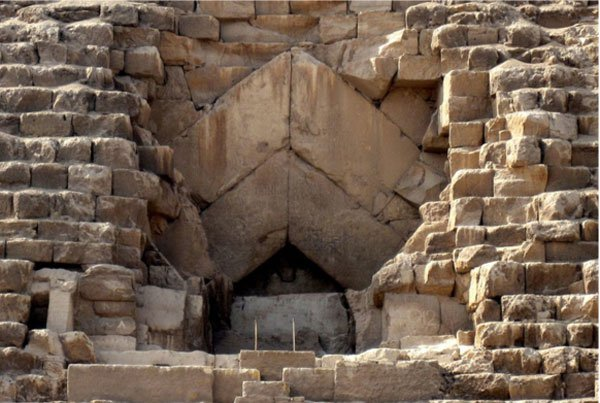 Many suggest that a cataclysm shook the facing stones off the Pyramids, exposing the stone work beneath them. As you view these two diagrams notice the weathering lines on the outside stones. It appears to be three, possibly four, starts and stops to the building. Look closely and notice the subtle differences in the work. 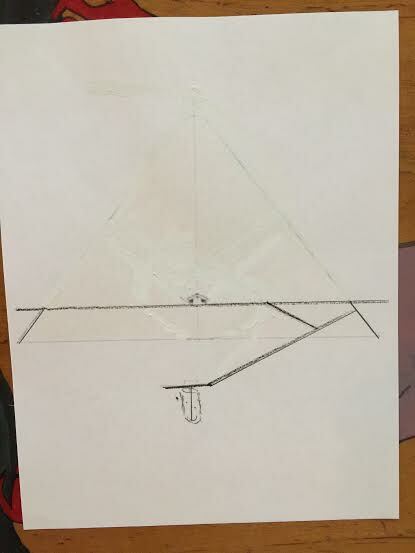 In the diagram please draw an imaginary line across the pyramid just at the bottom of the Queens chamber. Erase the Thieves tunnel and everything above this newly formed platform. Now how perfect is that? I’m wondering if the coloration differences line up with this first platform built by megalithic builders. I’m suggesting that each of these Chapels each stood alone for along while. These stones were not laid at the same time but were exposed at the same time. It seems clear that Megalithic men lifted the stone for the King’s chamber and roof. The building around these chambers seems to have been done by the Pharaohs men. 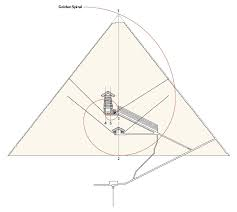 In the construction scroll which describes the building of the Pyramid there is no discussion or diagrams of the Sun’s directions to which the pyramids are aligned. This suggests to me that the megalithic builders (who had this geometric knowledge) aligned the base and built up to the platform of the Kings chamber then left. All the rocks around this work were piled up by the Kings and Pharaohs men. Honestly, during this research I felt there was some kind of human or political struggles going on between fazes one and two. The Corbel stones on the “roof” of the chamber are cracked. In the above diagram you see that the Kings chamber is tragically misaligned. Some of the roof stones broke under the uneven load placed upon them by moving the chamber off the center axis of the original plan. The Nephelim would not have done that. 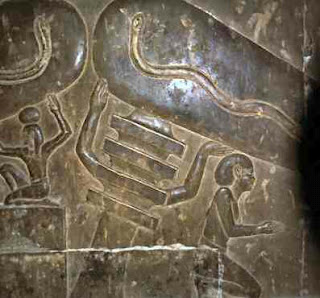 The Pyramid imitators for the Pharaohs who came later continued similar judgment flaws. I feel as though the Geometric information may have been being kept secret and closed by the Nephelim. 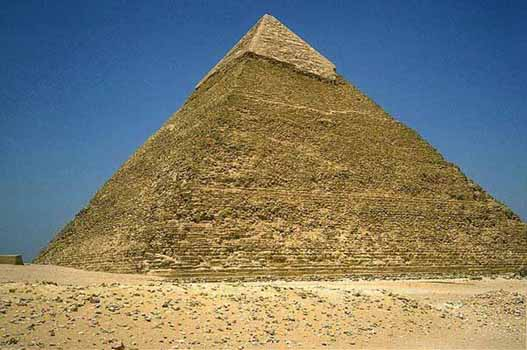 So the Sphinx, the Giza base plateau and the first faze of the large pyramid were done by Megalithic builders. The rest were created by imitation. This happened in Gobekli Tepe, Mohenjo daro, Ankara Wat and possibly others. 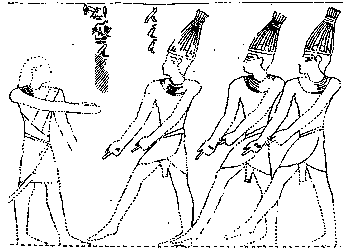 The Muu dancers below seem to be imitating the original Nephelim (large heads) builders.